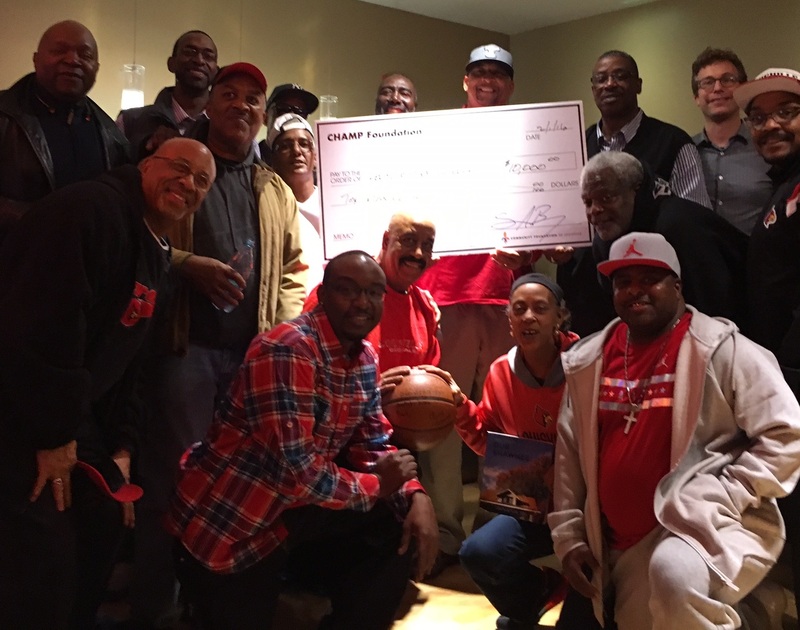 Many thanks to the CHAMP Foundation for donating their suite to some of the authors of I Said Bang and for making a very generous donation to the Louisville Story Program. It was a thrill to be able to spend some time together, watching the Cards beat North Carolina! Dee Dee Polk and Thurman Mitchell win the award for most animated reactions to every dang play. Next big celebration: the book launch at the Muhammad Ali Center on Feb. 25! Book launch celebration for I Said Bang!